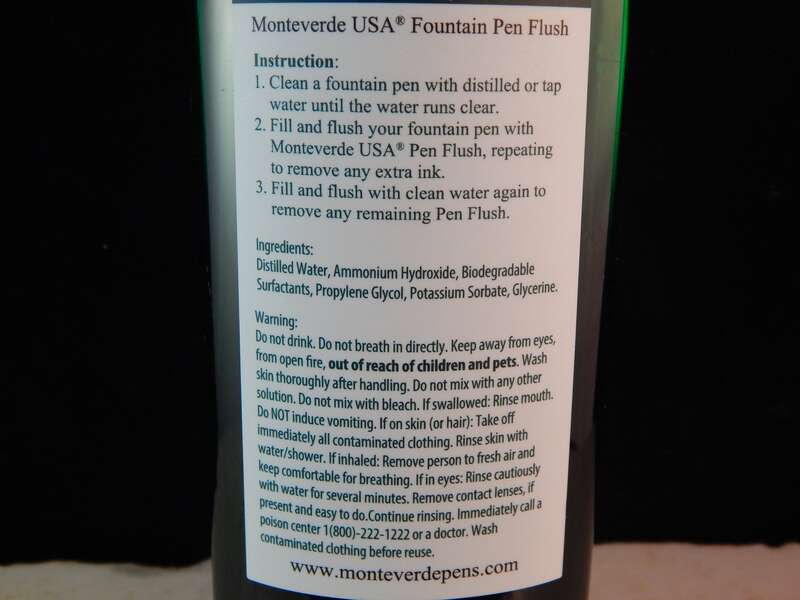 Monteverde Fountain Pen Flush. This product is handmade in California. 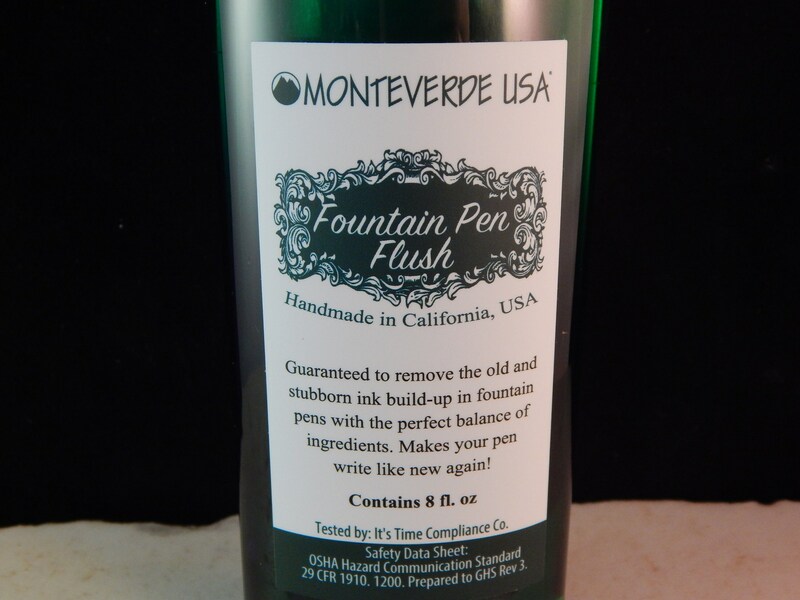 It removes old and stubborn ink build-up in fountain pens and makes your fountain pen write like new again. 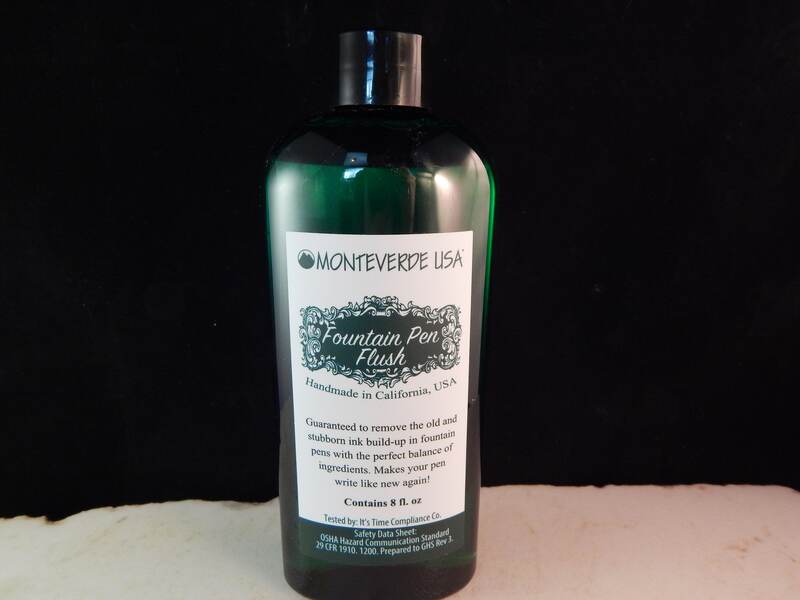 Monteverde Inks and fountain pen flush will be shipped via the USPS First Class or you can upgrade the shipping to priority mail for an additional charge. If the weight of your order exceeds first class limits, it will automatically be shipped priority.